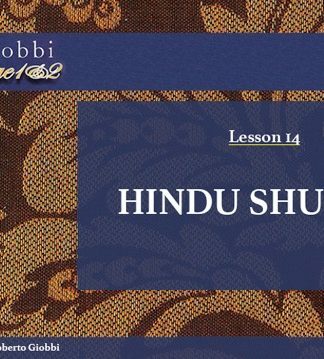 This course, originally sold as a set of 4 DVDs of nearly 8 hours, is now available at very little cost as a chapter by chapter download. This is like taking private lessons from Roberto Giobbi, a one-to-one coaching from one of the world’s premier card experts, who is considered by his peers to be one of today’s finest and most influential teachers of magic. 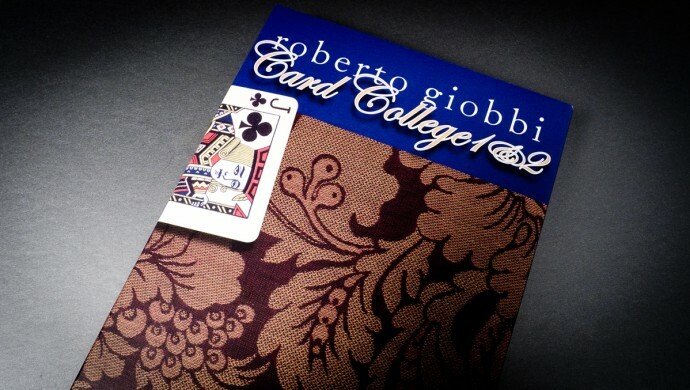 The beauty and elegance of Roberto Giobbi’s Card College course is that within a few minutes of learning fundamental techniques for handling cards, you will advance to tricks that can entertain and fool sophisticated audiences. Roberto not only demonstrates and explains the primary techniques of card magic, quickly giving you the ability and skills you need for performance, but also shares the wealth of his experience, based on years of successful performing. And if you’re already a pro you’ll find advanced material, moves, sleights and psychology to enhance your performance and shows. The MP4 format makes it easy to load on your desktop, laptop, tablet or smartphone for anytime, anywhere reference. Each chapter has a detailed table of contents that will allow you to quickly access every technique, trick and explanation within seconds, according to your needs. Create your own course, according to your current skill level, by downloading any of the 23 lessons at €4.95 each. Or get there complete set in one ZIP-file for only €49.95 (SAVE €63.90). 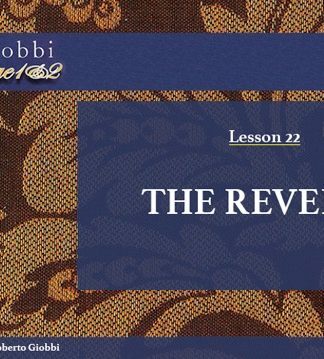 Get anyone of the 23 lessons, individually and in any order according to your level of expertise at €4.95 each, or buy them all together in one ZIP-file at the special price of €49.95. 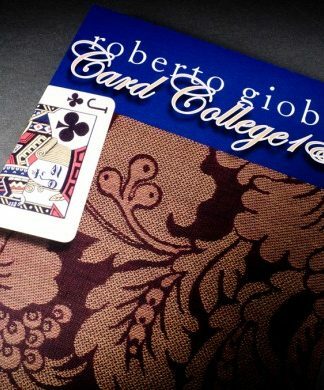 Roberto Giobbi’s remarkable Card College books have become the groundbreaking course in the subject – an analysis of the art, science, technique and philosophy of card magic. Card College has changed the way a generation of magicians have learned card magic, and changed the way they think about it. Card College 1&2, Personal Instruction was originally released as a four DVD set, with nearly eight hours of material. It is now available as an immediate download in the much more practical and comfortable MP4 format, which will allow you to load and enjoy it on any of the known platforms. This unique course combines Roberto’s lessons with his performances, demonstrations and explanations. Here you have a chance to learn directly from Roberto. He explains the essential moves, the subtle touches, and gives amazing examples that will allow you to add these techniques to your repertoire. As one of magic’s great teachers, Roberto will serve as an inspiration in your work. These videos are unlike any you’ve ever seen, professionally photographed and edited to efficiently demonstrate card techniques, with clear close-ups and reverse shots, as well as expert analysis of every move. 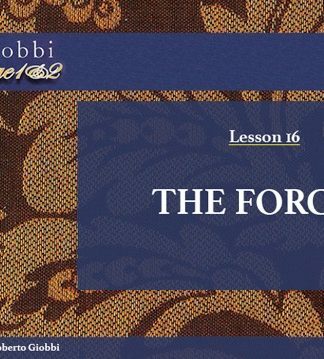 There are fundamental lessons for the beginner, and expert approaches for experienced magicians. Best of all, here’s a chance to meet Roberto, watch his presentations and benefit from his personal instruction. 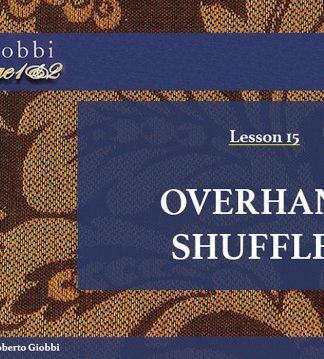 In these 23 lessons, you’ll learn basic techniques like squaring, cuts, grips, dealing, breaks, spreads, shuffles, false cuts, card controls, forces, glide, glimpses, key card handlings, double lift and flourishes, the Hindu shuffle, and special techniques like thumb count, buckle, palm, spread count, top change, crimp, reverse, the classic force…. and much more. In the Card College tradition, Roberto teaches magic immediately, with astonishing routines, allowing you to see the sleights in action and put them to use in these effects. Produced by Frankie Glass and Jim Steinmeyer, with magic consultant Richard Kaufman. 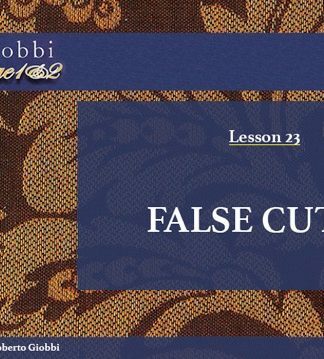 The complete course consists of 23 lessons (MP4) together in one ZIP-file, and is compatible with almost all currently known systems and devices. The size of each MP4-file is between 80MB to 250MB for best viewing quality; the ZIP-file is 4.2GB; you can stream-view it online, or download it to your favorite device, from where you can enjoy it anytime offline. “It’s getting a prominent place in my video library and I will return to it to gain insights and improve my own technique and execution.” Wayne Kawamoto Read the review from Wayne Kawamoto of Magic.about.com. Five Stars rating!